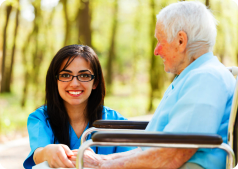 Diamond Home Healthcare is an established home care agency in Memphis, Tennessee. You can turn to our kind and compassionate staff if you need help caring for an elderly or disabled loved one. If you were recently hospitalized for surgery or illness. If you are unable to meet your own needs due to health, age or social problems. If you are stressed with taking care of a family member who can no longer care for themselves. If you are missing work or ignoring your immediate family to care for a loved one. If you are homebound and lonely, frightened, or depressed. If you need assistance getting groceries, going to appointments, or around the house. It is the mission of Diamond Home Healthcare to provide comprehensive, quality care to aid our clients in becoming productive, healthy and happy in all facets of their lives.